What Are the Benefits of Eating Vinegar? Malt vinegar and vinegar in general have been used for centuries as a food condiment. Malt vinegar can and is used for health-related applications such as relieving joint pain and cleaning wounds. Hippocrates used vinegar in 400 BC for a variety of things, including helping increase circulation and to treat skin ailments. Clinical trials by universities and research groups worldwide have validated some of vinegar's healing power. According to a 2008 study published in the Journal of the Japanese Society for Food Science and Technology, consuming malt vinegar can help relieve high blood pressure. Malt vinegar inhibits the peptide angiotensin-1, a hormone that causes constriction of the blood vessels in the body. Acetic acid in vinegar also prevents steroid production by the adrenal glands, another cause of high blood pressure. You also can use vinegar as a flavoring in place of salt, which can contribute to high blood pressure. A 2009 study by the Central Research Institute of the Mizkan Group concludes that vinegar, specifically the acetic acid in vinegar, can increase your metabolism. In the study, 175 volunteer subjects took one of three dosages of vinegar with meals over a 12-week period. Test subjects who received the highest daily dosage--30 ml, or 2 tablespoons--of vinegar mixed with a beverage had the best results. Weight loss, slimmer waistlines, lower body mass indexing and lower vascular fat were significantly better than in the placebo test subjects. Studies conducted by Arizona State University and Lund University of Sweden concluded that drinking a mixture of vinegar and water before meals correlated with lower glucose levels in type II diabetic sufferers. Subjects had their A1C confirmed by a physician before trials began and did regular monitoring of glucose levels before bed, upon waking and several minutes after meals. Although the results show that glucose levels were reduced by 6 percent, researchers agree that they have a long way to go in proving that vinegar is the catalyst responsible for the changes. Almost all of the studies available to the public note that 30 ml or 2 tablespoons of vinegar is the dosage that presents the best dietary results. However, there is no empirical evidence to suggest exactly what dosage might be effective for most or all people. Malt vinegar and all other vinegars contain acetic acid, a highly corrosive compound. Damage to the esophagus, stomach lining and kidneys can result from the overuse and overdose of vinegar. 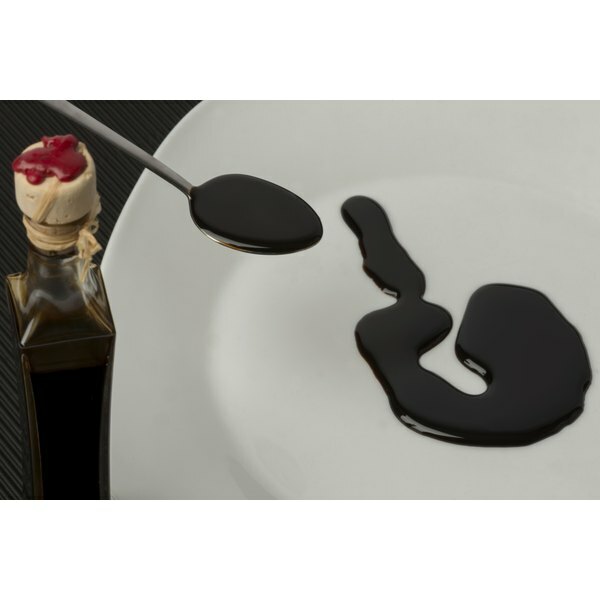 Tooth decay, osteoporosis and low potassium levels can be the result of ingesting too much vinegar on a regular basis. Severe reactions such as hyperreninemia, a condition related to overactive kidneys, and high blood pressure can result from the misuse of vinegar. Vinegar is toxic in high enough doses. Consult with a physician before beginning any vinegar diet regimen.